Hong Kong has not only retained the top spot as the overall most expensive in Asia-Pacific, it has become the most expensive city in the world, mainly due to the extremely high housing costs, as well as high cost of schooling and limited space available making rentals high. Singapore remains the second most expensive city in the Asia-Pacific region for expatriates (4th most expensive in the world) and tops the region rankings when costs related to housing, education, medical and transport are excluded. 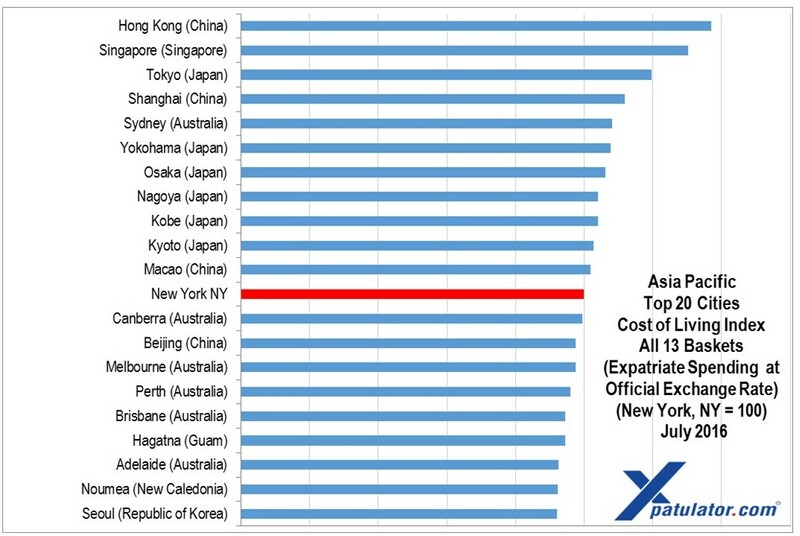 Tokyo is the third most expensive city in Asia-Pacific. This is mainly due to the strength of the Japanese Yen, which has held steady against the USD, while most other currencies have weakened. In addition factors such as consumption tax increases have resulted in US Dollar prices increasing in global terms.